I got CB from the Greenville, SC humane society after Walking into the puppy room and looking into his amazing eyes. 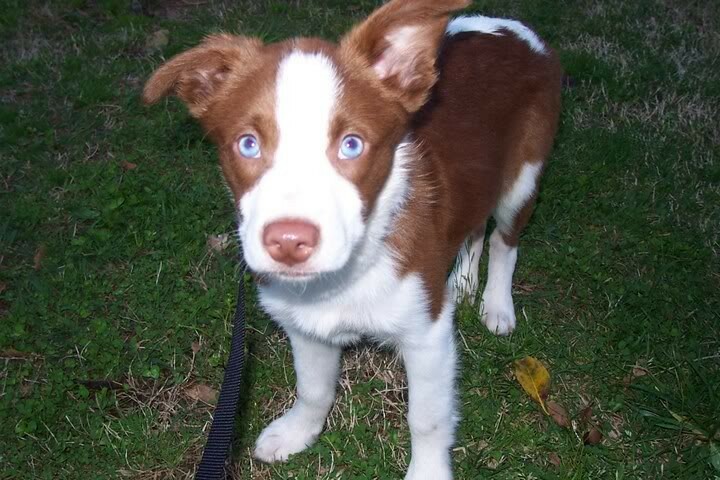 I was surprised to see a pure bred border collie at a shelter- but was so happy because I knew the breed and knew he would be a good fit for my active lifestyle. He was 10 weeks old when I got him and had a very rough life until the day we met and i adopted him. Poor guy was skin and bones, aggressive towards dogs, and very scared of men. Over the past (almost) 7 years he has overcome many of the demons from his early life. 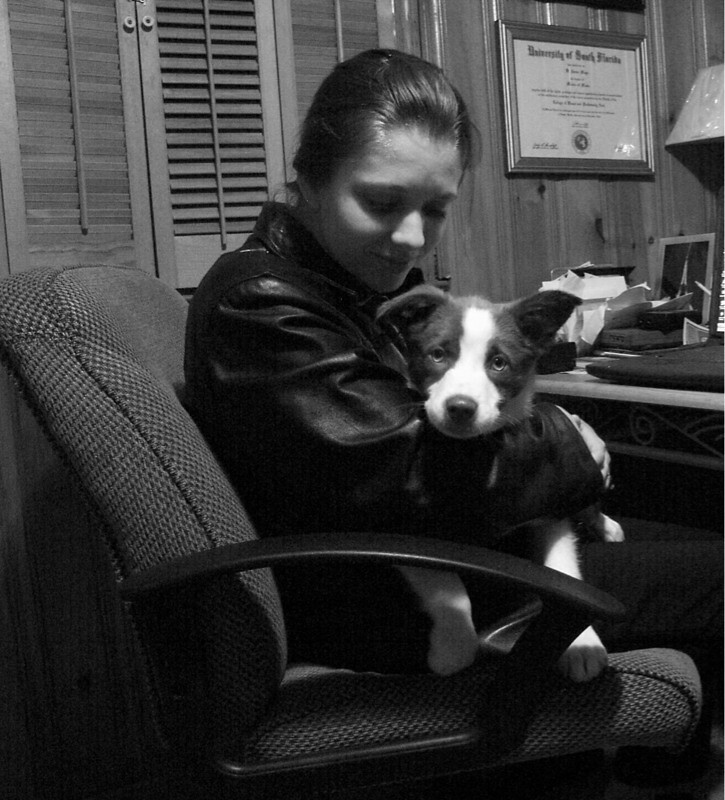 When I took him home, I didn't know that he would become such an integral part of my life- as running buddy, best friend, therapist and barking machine. I can't imagine life without him. (we've lived in 4 states and 2 countries- USA and Mexico). 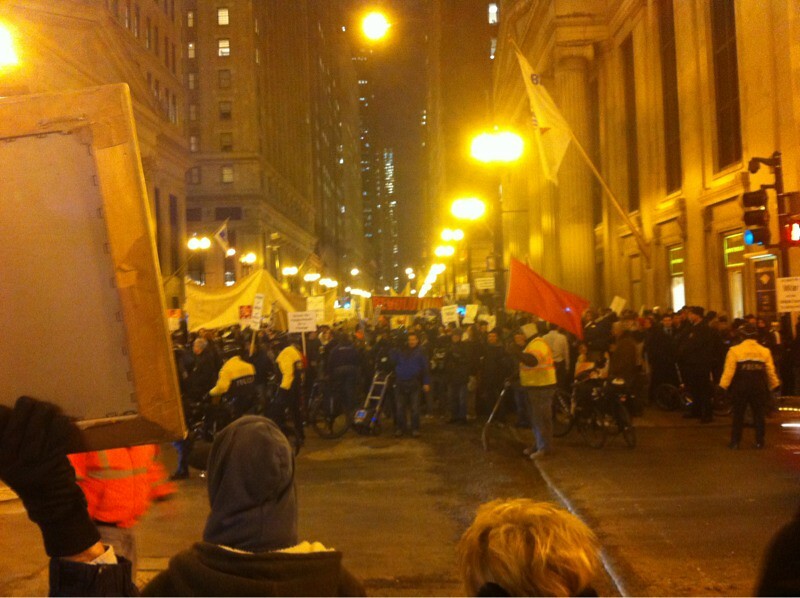 I sometimes walk by the occupy Chicago protestors to see what they are up to on my way home. Today, I stumbled upon 2 protests. Earlier in the day a local union was staging a demonstration and civil disobedience act. 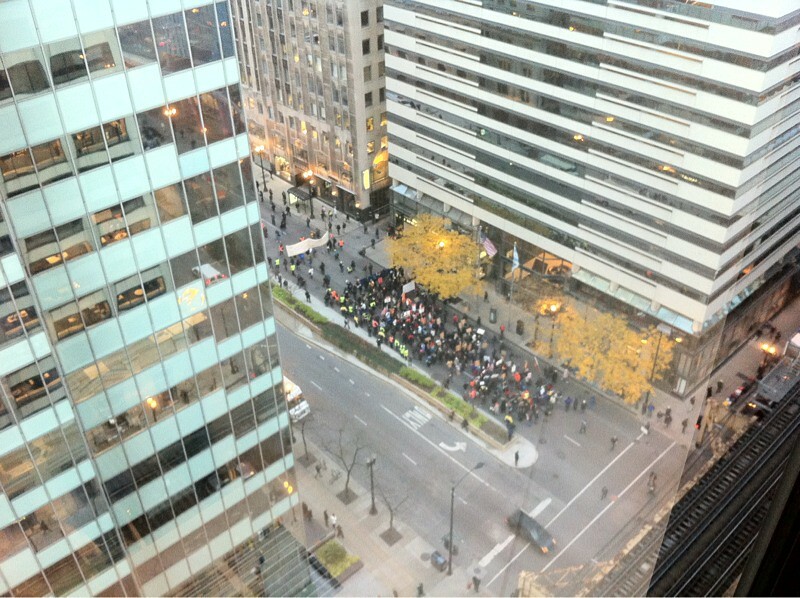 This was the view of their demonstration from my office. There ended up being about 1000 people involved. When I started walking home I figured it was over. I was wrong. 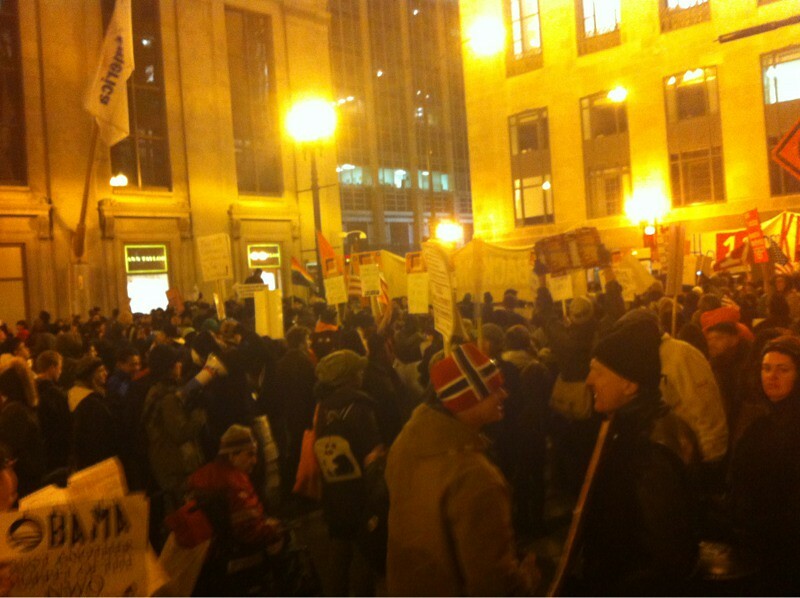 The union had marched to where occupy Chicago was and I was now in the middle of it all. It was kind of cool seeing a peaceful demonstration going on though. It looks like night, but I took these photos at 5pm. I seriously hate these shorter days. 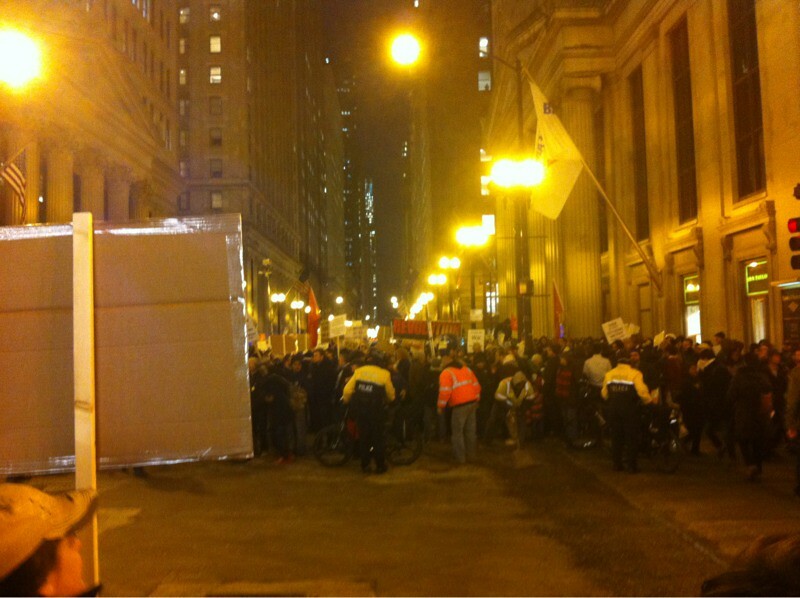 I'm not sure what the union wanted, and I'm still not sure what the occupy Chicago people are protesting. I don't get why they are protesting corporations and banks when there is far more greed, waste and injustice in the government. Ah, but who am I to judge? I hope they figure it all out soon because it will start snowing any time and it will be such a drag to be protesting in freezing snowy conditions. What's going on this weekend? Anything exciting? Ahhhh CB is so cute as a little guy! Great post! Puppies are such a great joy. Reba is very annoying but I love her to death! 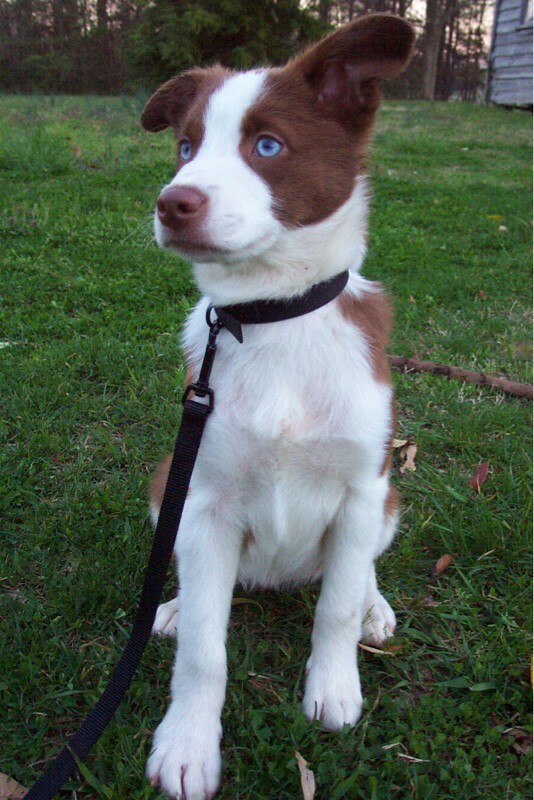 That dog is BEAUTIFUL! We're in an apartment and don't want to pay $300 to have a pet, but I'm LONGING for a puppy. What a great history you two have! Aww he is adorable! I'd love a dog to run with. My cat is a disappointment in this area. CB is such a cutie! 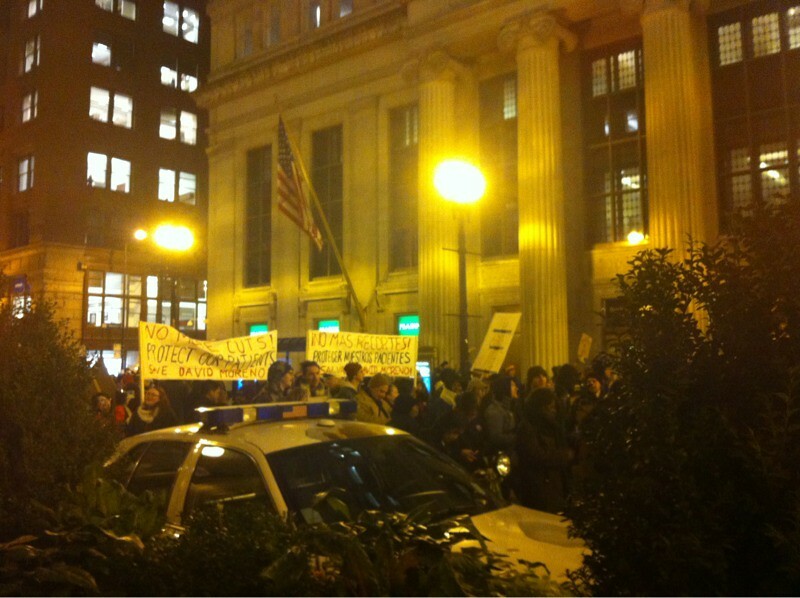 When I was in Portland we drove by the occupy Portland protests. In principal I agree with the occupy movement - corporations and banks have way too much power and basically pay off legislatures to pass laws for them. And yes, the government is also idiotic and needs to be protested too - they are the guys who are accepting basically bribes to pass laws for them. 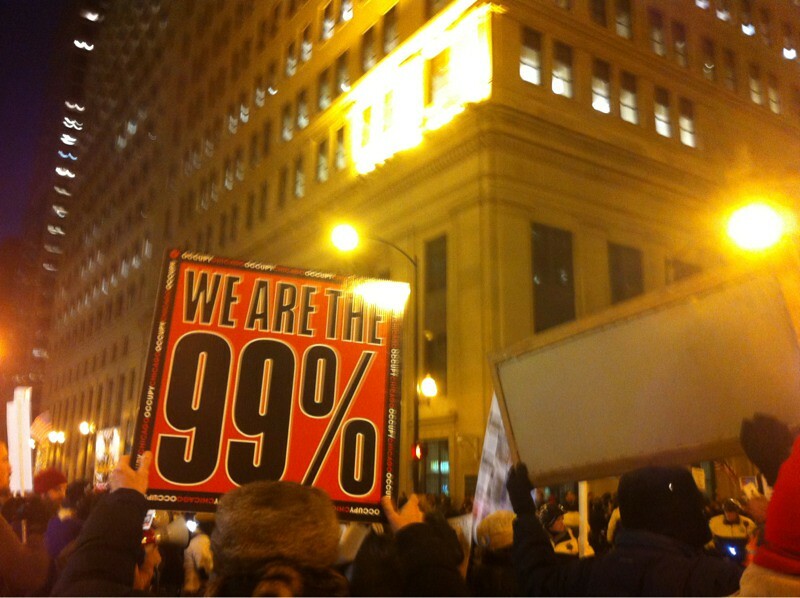 But most people in the cities in the occupy movement seem to be camping out in cities and destroying things. The protest really should be daily marches around the city, with no camping. That way the cities can't complain about anything, because they people wouldn't be camping out. I must admit that little guy is really cute!